Chardham Operator offer Teen Dham Yatra Package 2019 from Kolkata fixed departure dates group tour package from Kolkata. Deluxe Teen Dham Yatra package that give you utmost satisfaction to enjoy the pilgrimage tour. Booking is going on for Teen Dham yatra tour package 2019 (Fixed departure date journey). Night stay: Haridwar 2 nights, Uttarkashi 2 nights, Sirsi 2 nights, Kedarnath 1 night covering Kedarnath by foot, Badrinath 1 night, Rudraprayag 1 night. You will be exchanged to the particular kolkata station or Domestic air terminal to get your Train or Flight for Delhi, on entry, our delegate will get you from Delhi Station/Airport to the inn. Overnight remain at inn. Arrive New Delhi and we'll drive to Haridwar. enroute complete your Biometric for your yatra. On landing in Haridwar, register with your lodging. At night, continue to Har Ki Pauri to appreciate Ganga Aarti on the banks of Ganges. Supper and Overnight remain at Haridwar. After breakfast look at from the Haridwar lodging and drive to Uttarkashi. On entry register in with the inn. Uttarkashi is arranged on the banks of waterway Bhagirathi and is well known for its verifiable landmarks, Temples and Ashrams. At night, Visit the renowned Vishwanath Temple. Supper and Overnight remain at Uttarkashi. Early morning breakfast at inn and drive to Gangotri. Settled in the brilliant Garhwal Himalayas, Gangotri is set at a height of 3048 mts. Upon landing in Gangotri take a heavenly plunge in the consecrated stream Ganges which is likewise called Bhagirathi at its cause Visit the Gangotri Temple. The eighteenth century's sanctuary committed to Goddess Ganga is situated close to a sacrosanct stone where King Bhagirathi adored Lord Shiva. Ganga is accepted to have touched earth at this spot. The sanctuary is a stunning 20 ft. high structure made of white stone. In the wake of performing Pooja Late evening drive back to Uttarkashi. Supper and Overnight remain at Uttarkashi. After early morning breakfast look at from the lodging and drive for Guptkashi. On landing check in at lodging. Later complete your restorative checkup for your following day's go to Kedarnath. Supper and Overnight remain in Guptkashi lodging/Camps. Early morning after breakfast look at from the lodging and drive to Gaurikund. From where, you will begin your 17 km trek to Kedarnath. You can procure a Doli or a steed, for your trek (Cost Not Included). Mandakini, one of the principle tributaries of the Ganges starts at Kedarnath and moves through Gaurikund. Walking with you are explorers droning "Jai Bholenath." Sometimes the fog would conceal the mountains and gradually lift away, uncovering a gleaming blinding-white pinnacle that undermines to break the skies. On entry check in at Govt. Camps/Lodges. Supper and Overnight at Govt. Camps/Lodges. Early morning you get up before sunrise and in the wake of scrubbing down you are at the sanctuary by 4:45 am for the "Abhishek" to Kedarnath Shiva. Everybody can go inside Garbha Griha and touch the icon. You can likewise prostrate with your head touching the divinity and so forth. After darshan and puja you leave the sanctuary and come back to the Govt. Camps/Lodges. Later you'll begin the arrival trek of 17 km from Kedarnath to Gaurikund. The vehicles sit tight for you in Gaurikund Car Parking and you'll drive to your inn. Supper and Overnight at Guptkashi. 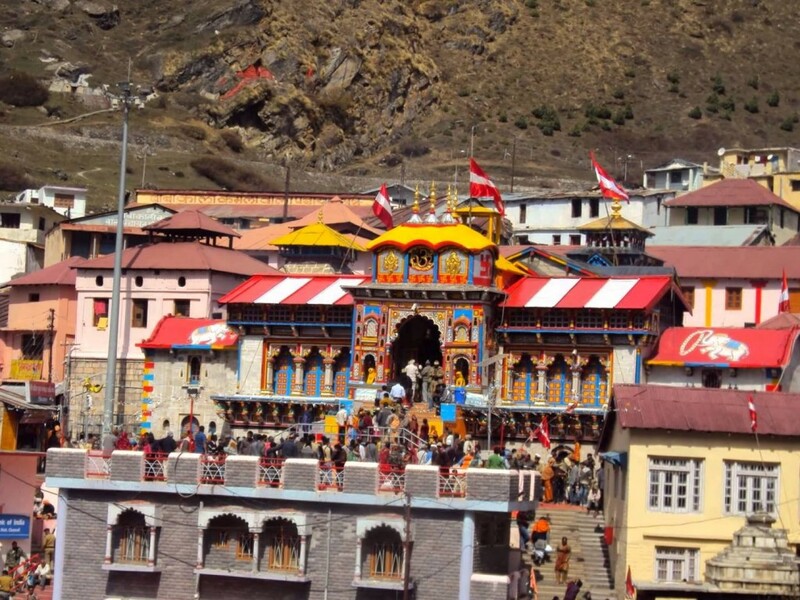 Toward the beginning of today, you look at of the inn at 08:00 am and drive to Badrinath through Joshimath. In the wake of driving through some superb Ghat street you touch base at Badrinath. On landing register with the inn. After some rest and refreshments you are good to go to go to Badrinath Temple for darshan at night. Yet, first you need to go to Tapt Kund (Hot Spring), scrub down and afterward go to the sanctuary. 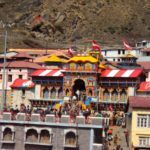 Devoted to Lord Vishnu, the sanctuary of Shri Badrinath Ji is 15 meters in tallness, worked as a cone with a little vault of an overlaid bull and tower. Later back to lodging. Supper and Overnight remain at lodging. Toward the beginning of today, go for Badrinath darshan. After darshan return back to inn, breakfast at inn and continue for Badrinath neighborhood touring visit Mana Village, Vyas Gufa, Ganesh Gufa, and Mata Murti sanctuary. Evening driver back to Rudraprayag by means of Karanprayag. Rudraprayag is a little explorer town on the heavenly juncture of stream Alaknanda and Mandakini. On entry check in at inn. Rest of the day allowed to investigate the Rudraprayag town. Supper and Overnight remain at inn. Early morning, after breakfast, you drive downhill to Rishikesh a profound city and the Yoga capital of the world. On achieving Rishikesh you'll do the Rishikesh touring visit Ram Jhula and Laxman Jhula. Evening drive to Haridwar. On landing check in at inn. Supper and Overnight remain at inn. Morning breakfast at inn, and you are on your last lap of this Chardham Yatra travel. Drive back to Delhi. On achieving Delhi exchange to Railway Station/Airport. Airport time to get your Train/Flight for Kolkata.